Cybercrimes are serious offences committed against individuals, groups or businesses with an overriding motive using modern technologies such as computers or the internet and even includes smartphones. Cybercrimes are varied and include a lot of different traditional crimes, such as theft, information warfare, phishing emails and malware attacks. Today, in 2018, cybercrime represents the greatest and most volatile threat to some of the world’s largest companies; the annual cost of cybercrime to the global economy is more than $4 billion. By far, the most expensive form of cybercrime is malware which costs around $2.3 million, followed by web based attacks which cost around $2 million and then other smaller scale cybercrimes such as phishing attacks and malicious code which cost more than $1 million. That’s why it is a very good idea to keep the operating systems of all your devices up-to-date, use trusted virtual private networks and strong passwords, avoid suspicious sites and be careful what emails you click on. $11.7 million is the average cost of cybersecurity. The cost is increasing by 22.7% per year and is expected to exceed $815 billion by 2021. In 2017, the total IT security spend was around $100 billion. In the USA, the total market for cyber insurance is $3 billion. Spending on this cyber insurance has increased from $1 billion in 2014 to $2.5 billion in 2016, in the USA. 62% of all organizations used some managed security services for their cybercrime defences in 2018. These investments in security services saves around $2.8 million per year, on average. Mobile malware is a serious issue, too; it is not just businesses under threat. Iran had 44.78% of mobile users attacked. As you can see, whether you are an individual or business, nobody is safe. 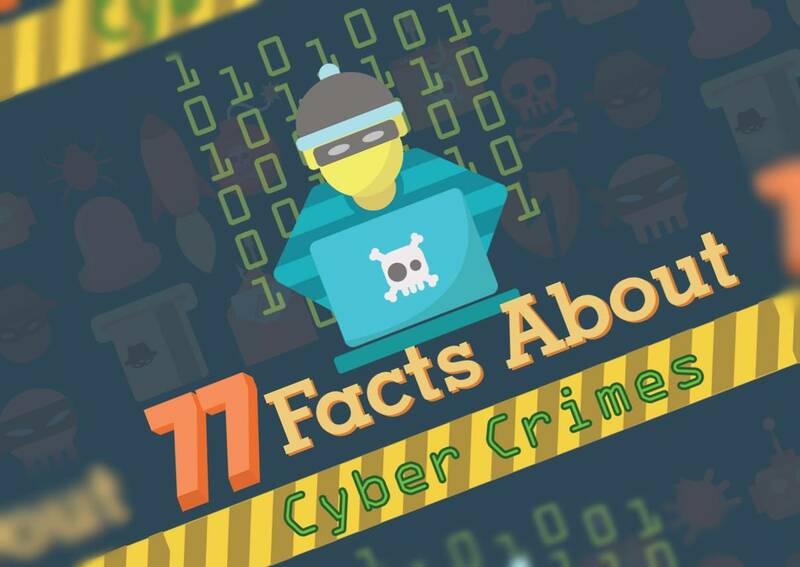 If you want to learn more about cybercrimes and read some more quick-fire facts, check out the infographic below, created by Bestvpns, where you will find out some interesting statistics and figures.